16 years of development and constant design was what the Ford Festiva received. The Festiva was one of many Ford automobiles that were created from unique Mazda designs. The mid 1980s was the first time the Festiva was released in the U.S. and what followed were many years of sales success for Ford. We are one of few Internet engine dealers that have Ford Festiva rebuilt engines for sale in our current inventory. There are thousands of drivers in the world that still use these cars daily. We give customers a lot of value with our engines and always try to have the lowest pricing here at www.rebuiltengines.co. What the Festiva lacks in horsepower it definitely makes up for in fuel mileage. The little known secret to non-Ford car owners is the excellent gas mileage that a Festiva engine receives. The engine is not built for speed, but it is definitely built for car owners that don’t want to feel the pinch at the gas pump. We rebuild these engines on every day of the week. They arrive in our warehouse by freight carrier and we always rebuild more than one at a time. We are surprised sometimes at the demand for this engine although we know that it is a very popular 4-cylinder. Do you get OEM quality Ford engines here? Absolutely. You not only get something genuine. You get something that will last for thousands of additional miles. This is because of the disassembly and re-assembly that we perform. The used engines we find through our partnerships are taken into our engine shop and evaluated. We use the data that is collected to start the disassembly procedures. Every part this is removed is immediately sterilized and cleaned perfectly. We do not reassemble the Festiva engines until this has been completed. We get rid of the older or worn out parts that could lead to damage if not changed. Our mechanics are experts at installing the new parts that these Festiva engines need to be certified as Ford replacements. One of the very last jobs that are completed before engines are shipped is testing. Our mechanics have an entire suite of tools and equipment that is used. One of our most reliable engine testing tools is a dynamometer. This instrument lets us test the low and high speed idle capacity and the oil compression. A bad reading using this machine is what can detect a problem. Our rebuilt engines rarely have issues although if they do we fix problems promptly. Our rate of return and warranty claims are almost non-existent. We do that great of a job. In the end, our engines are a perfect solution to any engine problem or swap out. You don’t have to wait to find out how cheap are engines will be. 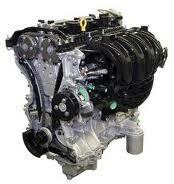 Use the Ford Festiva engine online quote form that was built especially for our customers. This form works 24 hours a day and what you get is our lower than low pricing. You can also call 1-(336) 355-5679 if you need assistance. We give you more than one way to save a bunch of money on Ford engines online.